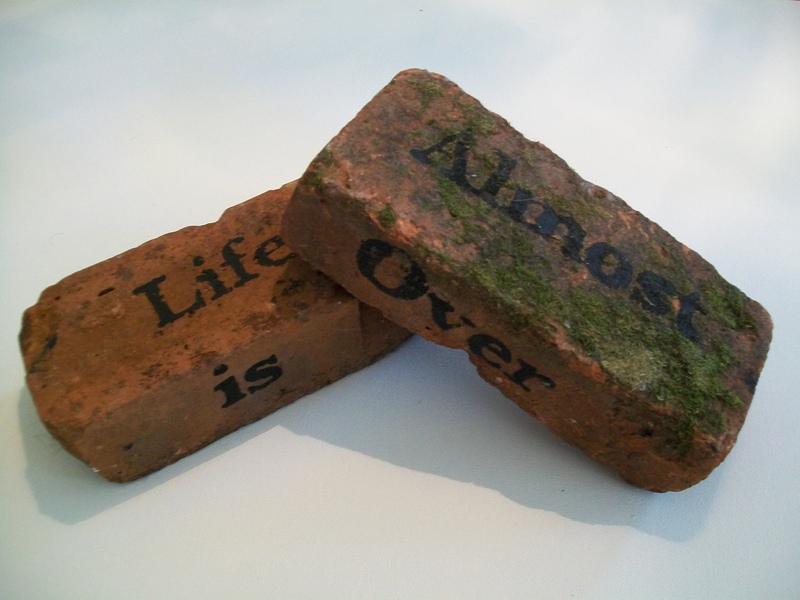 Life is Almost Over (2010). Edition 1, 2 out of 50. Silkscreen on moss, brick.